Nokia has been quite busy over the last couple of months expanding its range of Lumia hardware, but there have been a number of rumours surrounding another smartphone from the company and now the Nokia EOS camera specs along with some release date claims have emerged. We heard last week that the yet to be announced device had been seen with some of the design details leaked, and since the company launched the Lumia 925 Nokia even stated themselves that another flagship product would be released at some point. Now a source has been talking with the Mobile Geeks and has stated the Nokia EOS would be released during the second week in July, and July 9th has been given for the most likely date. 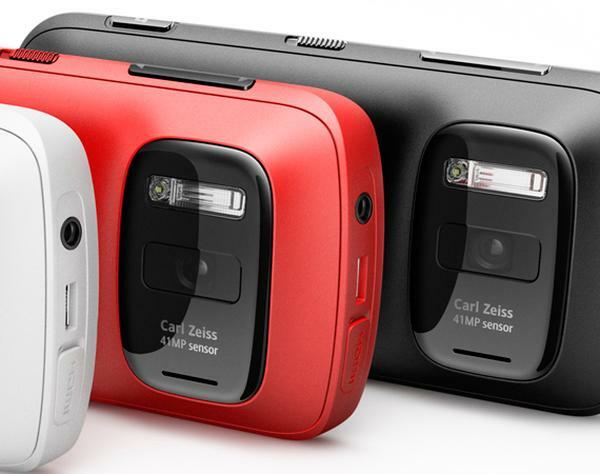 It is also being claimed that the Nokia EOS will feature the same camera sensor that is found on the Nokia 808 PureView device. The device will also offer support for Full HD video capture with three different options offered with varying frame rates, and it is being claimed there will also be three different modes for 720p video capture as well. It is also being claimed that the device will have a completely redesigned camera UI with on screen dial controls, which will allow users to easily adjust the camera settings and will include DSLR type sounds when they are adjusted. Obviously this is only a rumour for now but the rumours are growing for the Nokia EOS or whatever the company decides to call it, and the Nokia 808 PureView had great camera technology but came on a handset using an operating system that no one really wanted to use, so putting this technology inside a better handset could really appeal to a lot of consumers. Buy a 925 in June or an EOD in September…. damn you Nokia!! If EOS comes with this great feature, I bet many users will switch to Nokia Windows 8 phones.